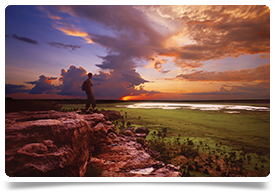 consultant medical retrieval job in outback australia! This is a truly unique opportunity to provide first class specialist medical retrieval services within a remote and rural context in Australia and be paid a first class public health salary. This really is sensational job for a retrieval specialist interested in an amazing adventure in one of the most unique and pristine environments on the planet. Live and work in a remote town of 30,000 people that has full amenities and a busy airport with regular flights to state capitals. MRaCC located between Emergency Department and ICU - strong internal relationships with inpatient teams. Squadron managed by Emergency Department. Arguably the most interesting and complex medicine in Australia. Making a genuine and long lasting difference to the health outcomes of the region. Alice Springs is located in Central Australia. The Arrente people are the traditional owners of the land. The environment around Alice Springs is simply amazing - ancient geology, canyons, desert, waterfalls and rockpools. 110 medical escorts, 26% critical interventions, 18% paediatrics,15% interhospital transfers. Doctors here enjoy a sensational outdoors orientated lifestyle. MTB riding is very popular - there are 4 main mountain bike trails and many trailheads. Bushwalking, hiking and camping (Larapinta trail) is a great drawcard. The stargazing is amazing. There are many sporting and social clubs within the large multicultural hospital community (the Americans enjoy a baseball league, for example) as well as in the broader community. The town has an aquatic centre with an olympic sized pool, athletics oval, rugby and AFL ovals, soccer pitches, cricket ovals. Its not all about sport however. There is a cinema, there are art galleries, bars, cafes and restaurants. A major tourist spot, Alice Springs has many first class hotels such as a Hilton with excellent gym, leisure and hospitality options. There are 6 private schools in the community and several nurseries. Be a Consultant/Specialist in Retrieval Medicine - EM, ICU, Anaesthesia. Be interested in learning about indigenous health and culture. Have the ability to work in cross-cultural environment with a collaborative and collegiate style. The job will offer you teaching and research opportunities as well as generous CPD allowances and leave. If you are interested in doing something truly unique and living in one of the most incredible places in the world, whilst using your skills to really change lives, then this could be just the job for you. For more information about Alice Springs and this interesting position, please call Alasdair Spinner or al@headmedical.com or on +44 131 240 5276.